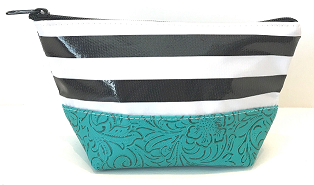 Our cosmetic bags are a small triangle shape bag with a zipper closure and gusset bottom. The Laredo Collection offers a fun faux leather contrasting bottom. 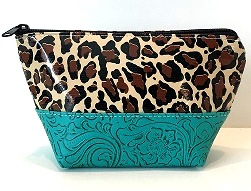 They are lined with a complimentary interior oilcloth pattern making it waterproof/water resistant and just wipes clean. Customize it with your name, monogram or fun saying! 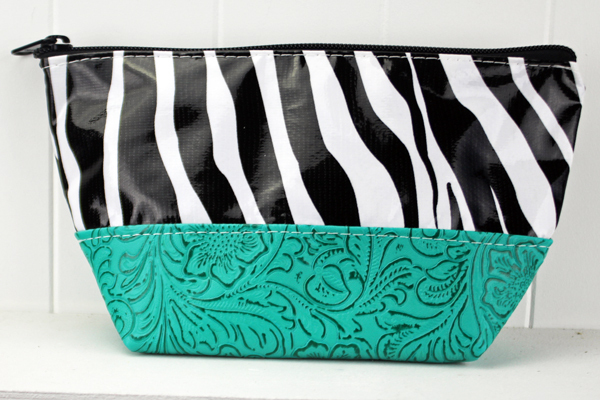 Our cosmetic bags a multi use items, great for cosmetics, toiletries, organization, small toys for children, wet/dry bags and more.